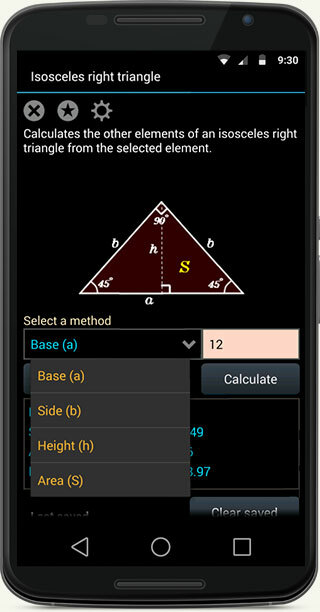 Calculates triangle area, sides and angle fast and easy. 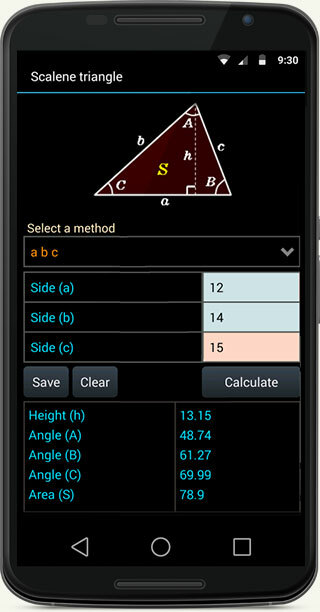 Specify your desired dimensions than press Calculate button. 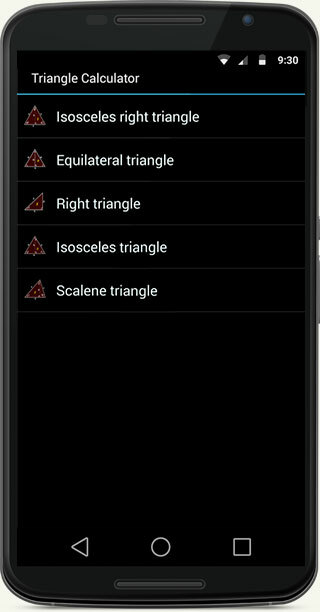 Calculate the area of a triangle, height of a triangle, sides of a triangle and angles of a triangle. 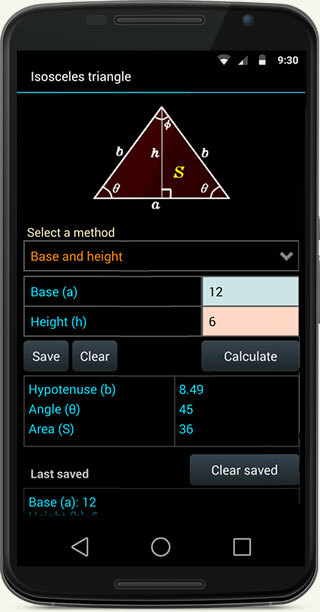 Solve triangles by entering your given dimensions to find remaining values as used in trigonometry.